The Cable Matters Gold-Plated DisplayPort to HDMI adapter is an indispensable companion for your laptop or desktop equipped with DisplayPort. 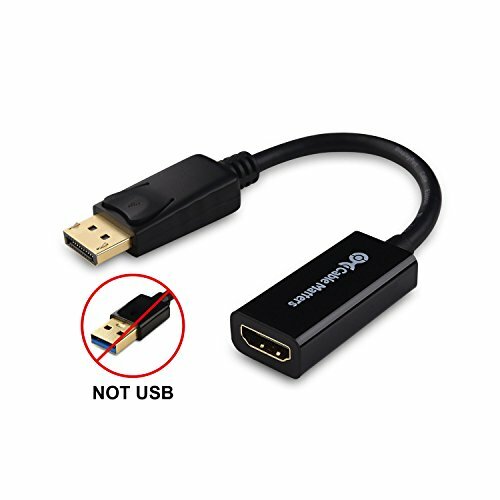 Connect your computer to an HDTV for video and audio streaming or to an HD monitor/projector with this portable adapter and an HDMI cable (sold separately). Use This cable to enjoy movies on the big HDTV, mirror or extend your desktop for an expanded workstation or show presentations at school or work. - Supports resolutions up to 4Kx2K, including 3840x2160, 2560x1600, 2560x1440, 1920x1200, 1080p and etc.